If someone in your household snores at night, they’re not just preventing you from getting a good night’s sleep—their health may be at risk. Snoring is the most common symptom attributed to sleep apnea, a potentially dangerous condition that can lead to heart attack, stroke, or death. If snoring is an issue with you or a loved one, Dr. Mathew and his team at Artisan Dentistry can evaluate you and assist you with comfortable and effective treatment for sleep apnea. When a person with sleep apnea dozes off, their airway becomes temporarily blocked by the soft tissue in the throat for intervals of ten seconds or more during sleep. This can mean the body is deprived of oxygen for 10-40 seconds at a time up to 20 times an hour. 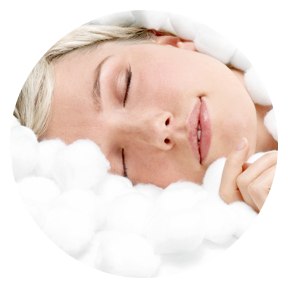 With each sleep apnea event, the brain is alerted and activates the body to resume breathing. This disrupts the sleep pattern, making the quality of sleep poor and extremely fragmented. If you’re suffering from sleep apnea, it’s no wonder you’re not feeling well rested—imagine your body trying to rest and replenish energy while you’re unconsciously struggling to get oxygen! About 12 million Americans are affected by sleep apnea, per the National Institutes of Health, and 27% of all American couples sleep in separate bedrooms due to excessive snoring. Untreated sleep apnea can cause high blood pressure, weight gain, heart disease, lack of energy, and other medical issues. Most people with sleep apnea remain undiagnosed untreated despite the fact that this serious condition can have significant consequences. Perhaps you have already been diagnosed with sleep apnea and have been fitted with a CPAP mask. A CPAP mask is 100% effective if tolerated by the wearer and used consistently. However, about 75% of all people fitted with the mask either give up on using the device or find it too uncomfortable to wear. Some people also find the noise of the CPAP machine makes it difficult to sleep or is disturbing to others in the household. Depending upon the severity of a person’s sleep apnea, there are alternative treatments. Dr. Paul Mathew has found that the most comfortable treatment is a specially designed oral appliance, which is fitted and adjusted to each individual’s tolerance. This is usually covered by the patient’s medical insurance. Avoiding debilitating illness such as heart disease, hypertension, weight gain, etc. Dr. Paul Mathew and his team at Artisan Dentistry of Salem, NH and Newburyport, MA are committed to the health of their patients through advanced methods and technology performed in a relaxing, comfortable atmosphere. Contact us to learn more about solutions for snoring, sleep apnea, and CPAP intolerance. We will provide you with all the information you need to make a decision that will give you back your health and energy.